In the spring of 2008, I came up with an idea for a baseball novel (which was initially untitled). I was working in Toronto at the time, so my writing sessions were clandestine affairs that happened much too infrequently. A job change near the end of that summer led to a more consistent writing attack that saw me try to knock out -- at the very least -- 500 words of text every day of the week (excluding weekends and holidays). As the bouts of writer's block steadily diminished, the book began to take shape. The beginning of 2010 saw me complete the first and second drafts of the novel. I then began contacting publishing houses and literary agents to try to coerce them to read it. That exercise failed miserably. I could not get anyone in the publishing world to take a sniff. 2010 was basically a lost year book-wise. I kept working on my writing portfolio and came up with a plan to play professional baseball for a summer (which can be found under the I Dream of Long Bus Rides heading). 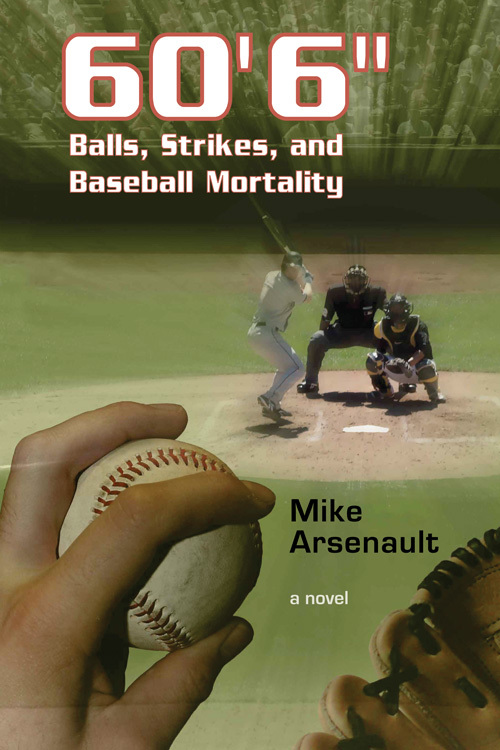 I figured a summer playing ball at a (semi)professional level is what I needed to gain "expertise" in my book's subject matter as a first-time author. While playing for the London Majors of the Intercounty Baseball League in the summer of 2011, I was able to acquire a couple of newspaper contacts who put me in touch with General Store Publishing House. The senior editor at GSPH liked my novel and recommended it for publication. Throughout the summer and fall of 2011, she and I corresponded back and forth editing the manuscript, getting the work to a publication-ready format. A stressful pre-sales period in early 2012 paved the way for a full print run. It’s the summer of 2008, and Gord Mattis, a twenty-four year old left-handed pitcher, is plying his trade in Single A baseball. He eats, sleeps, and breathes the game. From a young age, Gord has had a love affair with baseball, although it hasn’t always loved him back. Not blessed with overwhelming stuff, Gord has faced adversity at every level of organized baseball. He must go to extreme lengths to squeeze every last ounce of talent out of his body and mind to succeed on the hill. Gord and his teammates--including Danny Johnson, a brash, cocky, eighteen-year-old fireballer from Oklahoma City--endure weary, soul-sapping bus trips across the state of Florida. They try to maintain their sanity in the pressure cooker that is life in the minors with sophomoric antics typical of twenty-something players with too much time on their hands. Travelling from past to present, Gord reflects on his early years in the game, to college and independent league baseball, and currently in the minors, where the ultimate destination of the big leagues is achingly within reach. Will Gord and Danny make it? Or be forced to find out if there’s life after baseball? There have been numerous cases that baseball players are superstitious. Whether it is wearing the same socks without washing them until you lose, or taking the same way to the hill and not venturing on the white line. Regardless of how you cut it up or how you call it, baseball players do have a standard that rationally helps them when they are Playing. How difficult can it be to throw a strike in baseball? I mean, we're not talking painting the corner with a slider or bending an arching curve ball, we're simply throwing a simple fastball for a strike. Let's establish, then examine the facts involved in throwing strikes.